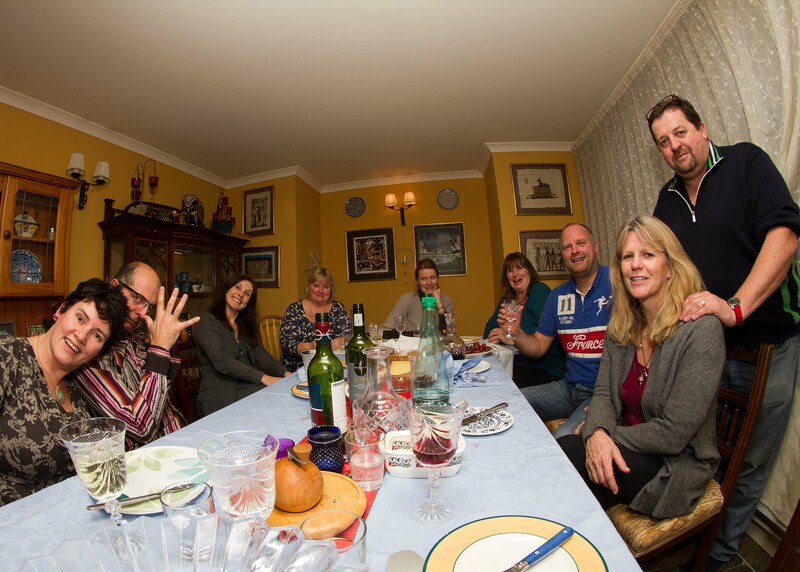 My lovely neighbours popped round last night for supper. 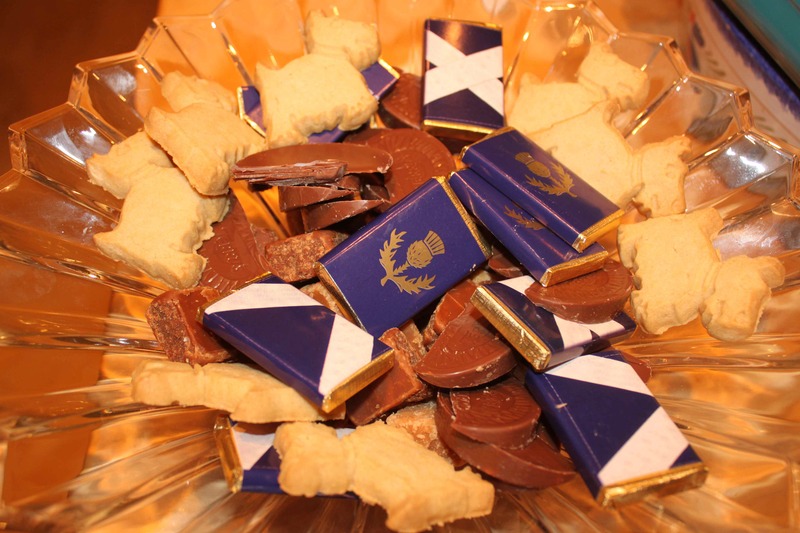 I do like a theme and as it was St.Andrew’s Day, the food was inspired by Scottish produce. 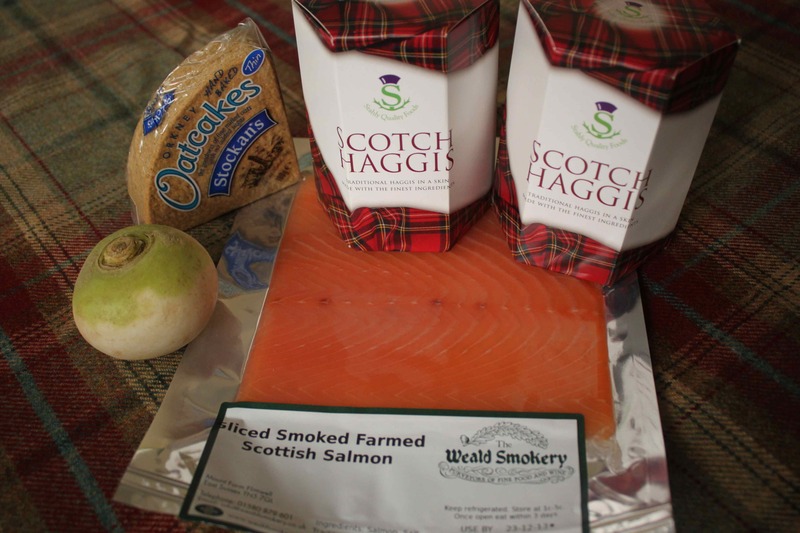 I had picked up some goodies in Edinburgh earlier in the week. Waitrose and Hartley Dyke provided the rest. I bought the beautiful tartan fabric in Bell House Fabrics in Cranbrook. I bought it to be a runner along the middle of the dining table but having got it home and considered how to cut it, it was much too nice for that purpose. I hope I can manage to make something with it. Don’t hold your breath though as Zoe and sewing are not a match made in heaven! Neeps and Tatties (I actually served 3 separately mashed root vegetables; parsnip, potato and turnip and carrot). I couldn’t bring myself to make a dessert. 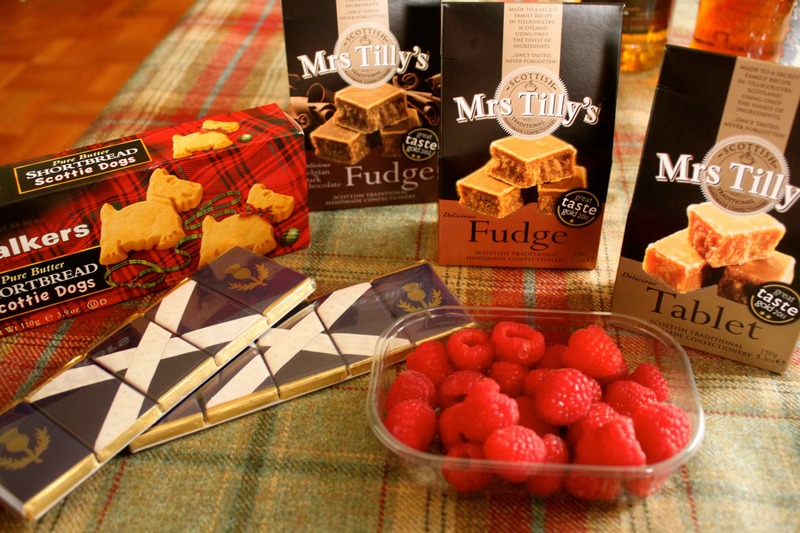 It would have been too tempting to taste it and I would have had to go and buy sugary ingredients so I bought some fudge and chocolates wrapped in Scottish themed wrappers in Edinburgh and bought the Scottie Dogs (very popular!) and raspberries in Hartley Dyke. 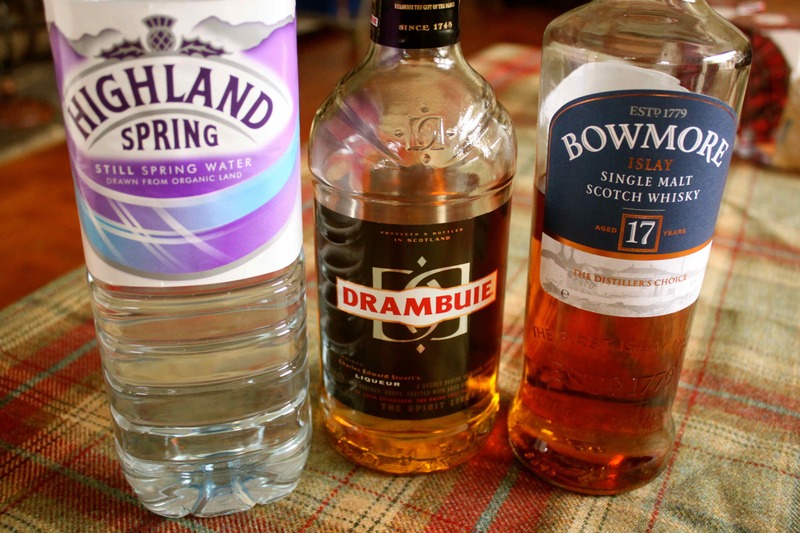 Plus Scottish spring water, whisky and Drambuie (a whisky lacquer). Time flew by as I was cooking and once my friends arrived I forgot to take any photos. So this is not my typical blog post. 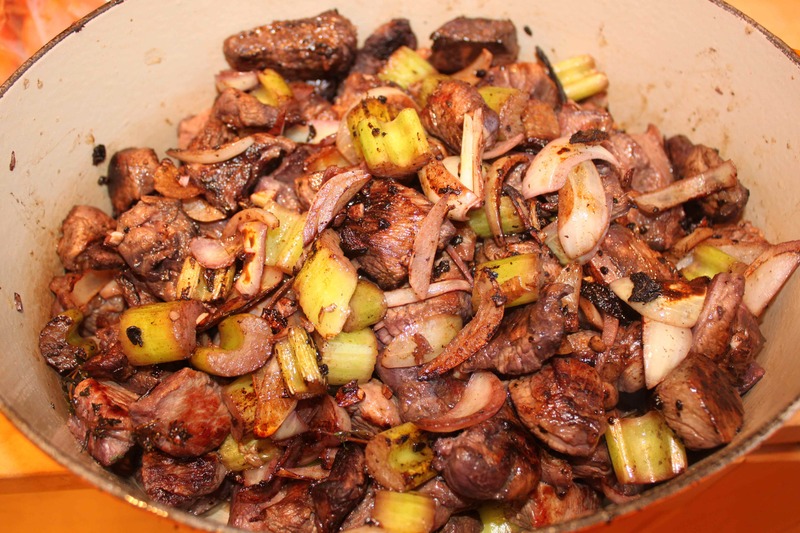 I do want to share the beef and venison casserole recipe as it was delicious. 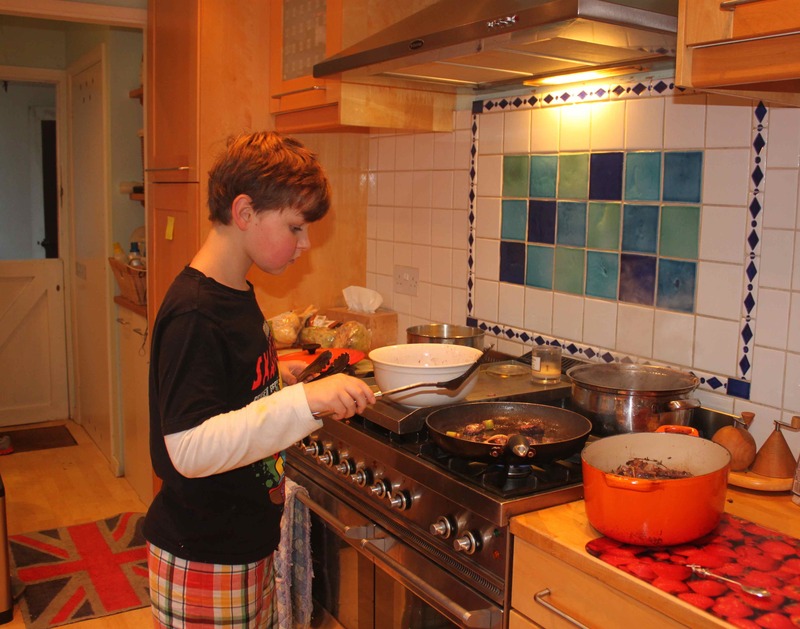 A small and gorgeous boy helped cook it which made it even more special. The original recipe was from ‘One Year At Books For Cooks No.1’. Books For Cooks is one of my favourite shops in the world and I must go and visit again soon. It is a bookshop full of cookery books from around the world and is located in Notting Hill in London. There is also a tiny little cafe in there. What could be more wonderful if you like books and food? I highly recommend you visit if you have never been before. Every year Books For Cooks publishes a rather dull looking paperback containing their favourite recipes from a multitude of cook books and that is what I used. 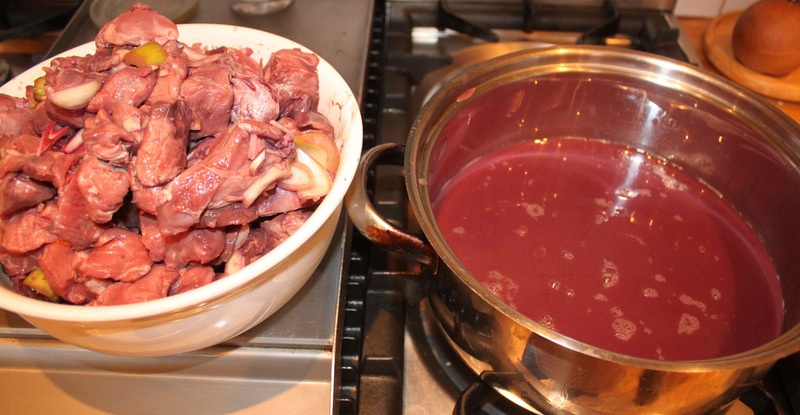 The recipe in the book was one of Marco Pierre White’s from his book ‘Wild Food From Land & Sea’ and was called ‘Beef Daube with Bourgogne Garnish and Parsnip Puree’. 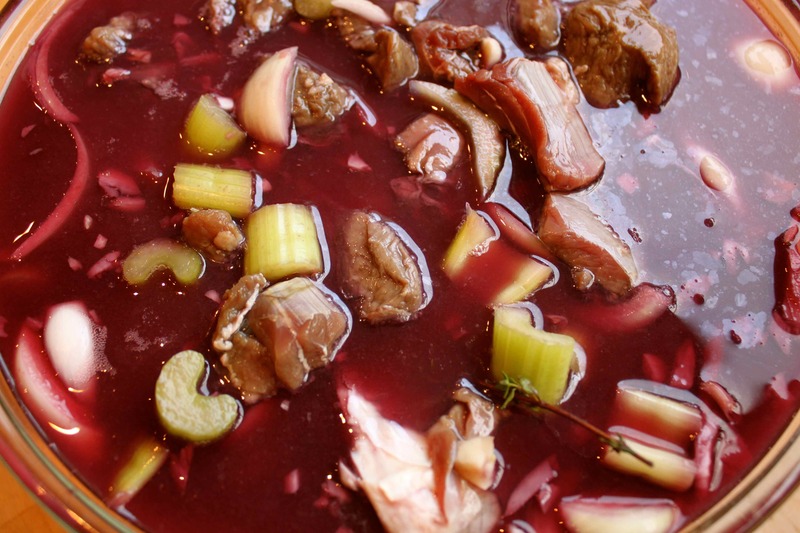 The recipe is a combination of 2 French classics; Beef en Daube and a boeuf Bourgignon. I added the venison because I found some in Hartley Dyke and I think of it as being Scottish. So here is my recipe, very much copied from Books For Cooks, which reproduced a Marco Pierre White recipe. I doubled up the recipe but I am giving the quantities from the book. 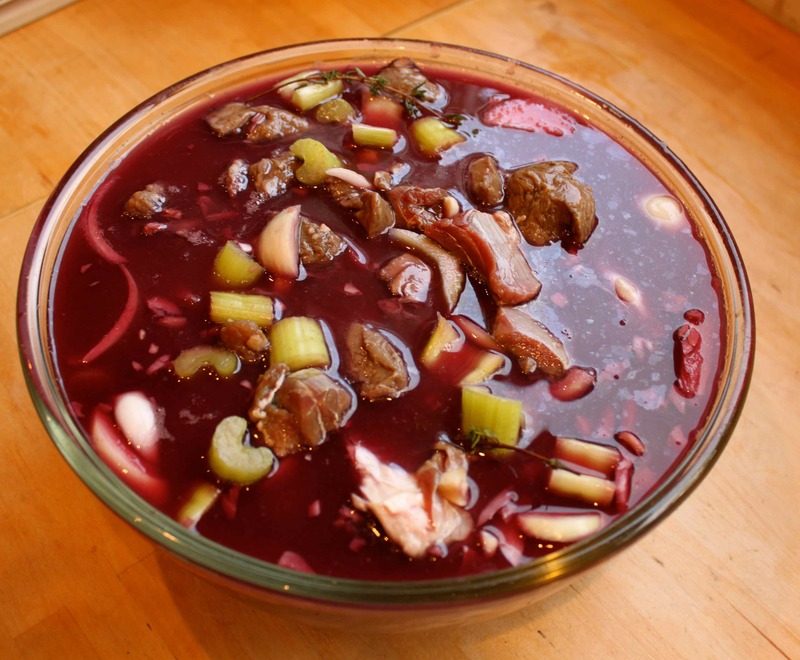 Place all the meat and the venison bones in a large bowl with the vegetables, herbs and wine. Leave overnight. 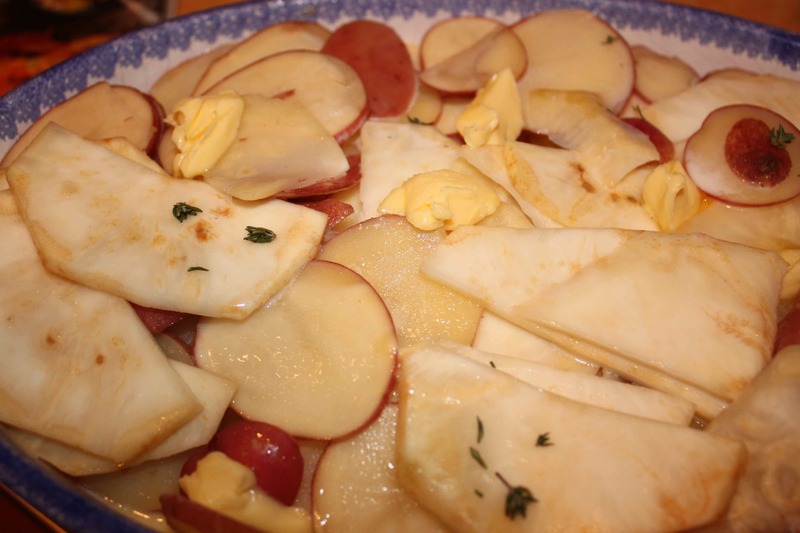 Simmer the casserole with the garnish for 15 minutes before serving. One of my favourite magazines is Food and Travel. How it could it not be since it is about 2 of my favourite things? In the November 2012 edition I found this recipe. Increase the heat to 200 ° C, remove foil and cook for another 10 minutes until the top is browned. 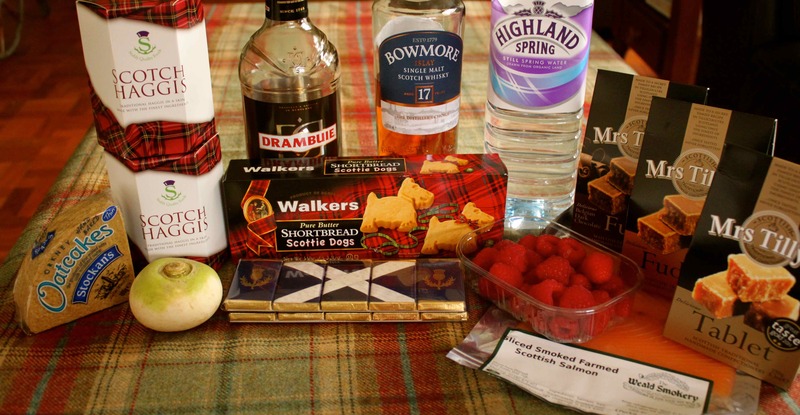 We ended our meal with a selection of Scottie dog biscuits, chocolates and fudge, washed down with a wee dram. It was a lovely evening. We ate well, probably drank more than we should have done and enjoyed another evening in truly splendid company. Cheers to my wonderful neighbours and friends.